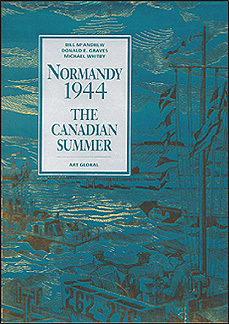 An llustrated history of the Canadian participation in the Normandy campaign, June to August 1944. This book describes the course of events in Normandy using official documents and published sources, as well as personal memoirs and recollections of Canadian soldiers, sailors, and airmen who fought in this difficult and vitally significant campaign. 100 photos and maps.